The Tigers moved into third place with the 3-1 victory over Monrovia. Boys’ soccer claimed victory over Monrovia by a score of 3-1 in an away match on Saturday, January 26, moving the Tigers into third place in the Rio Hondo League. An overwhelming defensive presence from the Tigers quelled the Wildcat offense at every turn, granting the boys’ team a decisive fifth win in league play. The Tigers owed much of their success in the first half to an overly aggravated Monrovia offense, which dug its own grave after receiving numerous penalties. After a drive down the field by the South Pas offense early in the opening half, sophomore Caleb Lee picked up the Tigers’ first goal on a free kick and gave the Tigers an early 1-0 advantage. The boys’ team sought to hold onto its lead as its defense cracked down on the advancing opposition. Senior Addison Foord and senior goalkeeper Ryan Wong held off numerous attacks from the Wildcat midfielders, while senior Eamon Hornish consistently outmaneuvered his opponents to cut off the Monrovia’s ball movement. 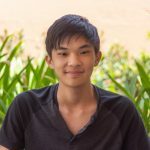 The Tigers eventually pushed through a momentary breach in the Monrovia formation, and after a foul on Lee during the run, the sophomore claimed a second goal from a free kick. The Wildcats made sure not to let this slide, however, and the team retaliated with a rewarding free kick of its own to change the score to 2-1. With the half winding down, the Tigers put considerable energy into tightening their backline in anticipation of a costly assault from their opponents. This effort proved successful, with the Wildcats being unable to find any openings to move down the field. Sophomore Arden Benitez then sealed Monrovia’s fate with a point-blank header, ending the half at 3-1. The beginning of the second half carried out similarly to the first, with the Tigers dominating on both offense and defense to leave their opponents helpless. 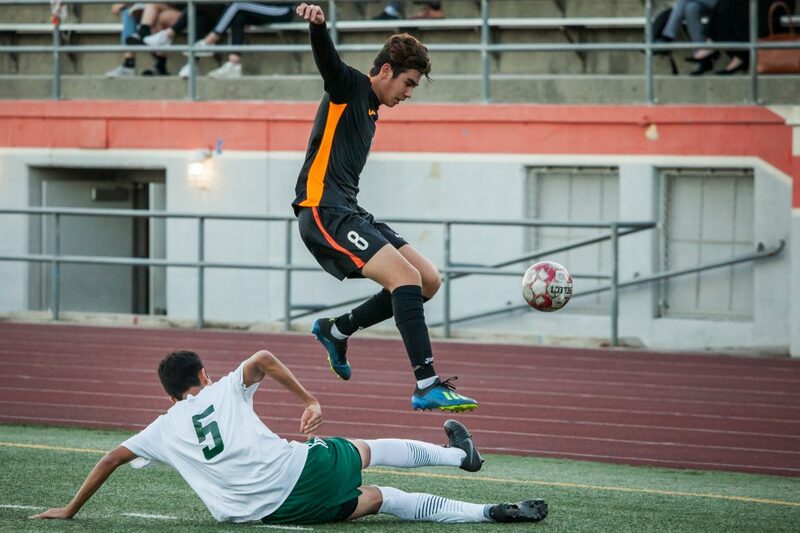 Sophomore Porter Calva and senior Jett Donlevy outran their opponents to keep the ball in South Pas’ hands early, but soon the entirety of the Tiger defense was under threat as the Wildcats gained steam. The team found itself frequently pushed back to its own side of the field midway through the half, and despite the Tigers reliably sending the ball out to prevent the threat of a goal, Monrovia kept returning. Luckily, junior goalkeeper Ignacio Quibilian defended the post and blocked five kicks to keep South Pas in the lead. As the half reached its end, the Wildcats began to act aggressively in a desperate attempt to salvage the match. Though this yielded no gains for Monrovia, it did result in numerous heated exchanges between players that nearly escalated into brawls. Nevertheless, the Tigers took the match 3-1, avenging the loss they took to the Wildcats last week. The Tigers, now boasting a 5-3 record in league play, will play Blair on the road on Tuesday, January 29. Victory for South Pas in the matchup seems likely, as the Vikings boast a mere 1-6 record in league and a 2-12 record overall.